About Us | Z-File, Inc.
Z File Inc. is a book-packaging concern owned and run by Howard Zimmerman. A full-service packaging house, Z File accepts commissions and also produces proprietary, licensed material for publishers. For each book or series that Z File produces, it provides the talent—contracting with authors, illustrators and designers—and the final interior and cover designs and printer-ready files created with the latest software platforms. Zimmerman’s background as a hands-on periodical and book editor and supervisor for over twenty-five years allows him to act as project manager, quality controller, and line editor for each book Z File produces. As well as producing standard print books, Z File specializes in producing graphic fiction and nonfiction, commonly referred to as “graphic novels,” in the areas of science, history, science fiction, and biography. Through a long-time association with American literary treasure Ray Bradbury, Z File acquired the exclusive rights to do graphic adaptations of his three bestselling novels, Fahrenheit 451, Something Wicked This Way Comes, and The Martian Chronicles. 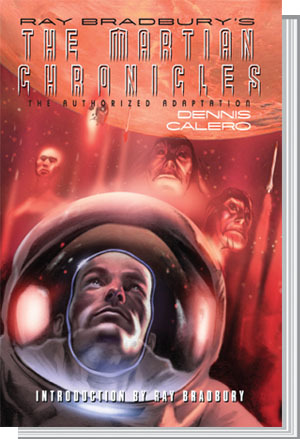 The trilogy was sold to Hill & Wang, a division of Farrar, Straus and Giroux, and the graphic novels, produced by Z File, were published from 2009 through 2011. The graphic adaptation of Fahrenheit 451, by illustrator Tim Hamilton, was nominated for the comics industry’s Eisner Award in 2009, the same year it became one of the very first comics apps for the iPhone. The book was further honored when it appeared in the Jeopardy! College Tournament as an answer in the “Graphic Novels” category. Fahrenheit 451 was also nominated by the Young Adult Library Services Association (YALSA) as one of the best graphic novels of the year. In 2009, Z File produced a graphic volume of military nonfiction for Hill & Wang, The Vietnam War: A Graphic History, which also garnered a YALSA nomination as one of the year’s best books. In 2011, Z File produced a follow up volume to The Stuff of Life called Evolution: The Story of Life on Earth. It made the 2012 Maverick Graphic Novel List, which is put together annually by the Texas Librarians Association as a guide to outstanding reads for kids, parents and educators. The hot title for Z File in 2012 was Health Care Reform: What It Is, Why It’s Necessary, How It Works. Created with M.I.T. economist Jonathan Gruber, who was instrumental in shaping both the Massachusetts reform bill as well as the Obama administration’s Affordable Care Act, this graphic volume was on The New York Times Graphic Novel Bestsellers List for six weeks. Z File continues to produce potent volumes in graphic format. The Hammer and The Anvil, a dual biography for young adults of President Abraham Lincoln and brilliant orator and former slave Frederick Douglass was published and well-received in 2012. The first of two raphic volumes adapting great and important documents in American history was published in 2014. A second volume is slated for 2016. New works include a graphic history of the infamous secret military base AREA 51, and a graphic biography of the iconic actor and race-car driver, Steve McQueen: STEVE McQUEEN, Full-throttle Cool. Howard Zimmerman and Z File shepherded six Hill and Wang titles to publication [while I was publisher at Hill and Wang] two of which became New York Times bestselling graphic novels. From conception to realization and delivery, Howard was a consummate professional and his myriad skills are evident on every page of every book he undertook for the imprint. Howard Zimmerman’s Z File Inc. is my go-to packaging concern. From science, to military history, to fiction, Z File produces top-quality titles with professionalism and proficiency. Howard’s decades of experience and savvy allow Z File to meet any publishing challenge and produce the perfect product. THE PEN IS MIGHTIER . . .